We purchased this excellent, helpful, comforting paperback book at this year’s NAVS Summerfest, and were happy that we could attend a class presented by the author Carol J. Adams and hear her read some of her prayers and give the background of how this collection came about. 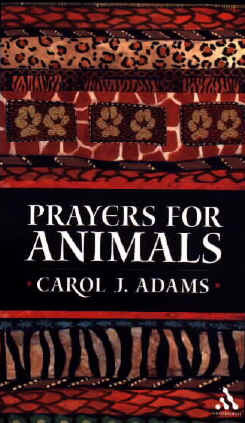 Carol Adams' Prayers for Animals has a way of reaching into our hearts and souls and putting into words those inner emotional feelings that we often find hard to express in our times of need. Rarely do we come across a book that strikes a chord deep down in our souls, as this precious volume does. It is hard to put into words how much Carol Adams’ personal, heartfelt reaching out to our Creator comforts. We highly recommend this outstanding, much-needed contribution of Carol J. Adams. 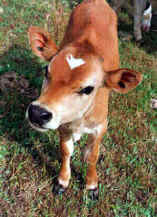 “Here are original prayers that speak to our various relationships with animals: prayers of celebration and concern for animals living with us; prayers of mourning when animal friends die; prayers of petition and intercession for animals who are suffering; for animals in shelters; for farmed animals; for the endangered; for the well-being of animal caretakers. These prayers invite you to deepen your relationship with God and with all God’s creatures. Carol J. Adams has a master of divinity from Yale University and has taught at Perkins School of Theology. 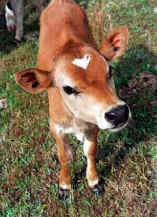 She is the author of many books including prayers for children concerning animals.